Today is the last in a three-part series on what needs to be in your youth ministry (and mine as well). So far, we’ve covered the first (Jesus) and the second (Grace). The third? Love. Yeah, love. I know, it seems kind of cheesy. Not very strategic, maybe. But very, very important. One Sunday night at a youth group in a previous youth ministry position, a few of the teenagers got into a shouting match with each other. Though the fight was over silly, surface level things, it revealed a strong dislike–possibly even hate–that existed between two “cliques” in our youth group. I was so discouraged over the fight, I don’t think I even finished the lesson. After youth group, the adult leaders stayed at church for a while and talked over what we should do and how to move forward. One leader, upset about what had happened because of how much he cared for our students, said, “This place is supposed to be different.” His point was that at school, on their athletic teams, and even at home, students don’t experience a lot of love. But among followers of Jesus, it should be different. 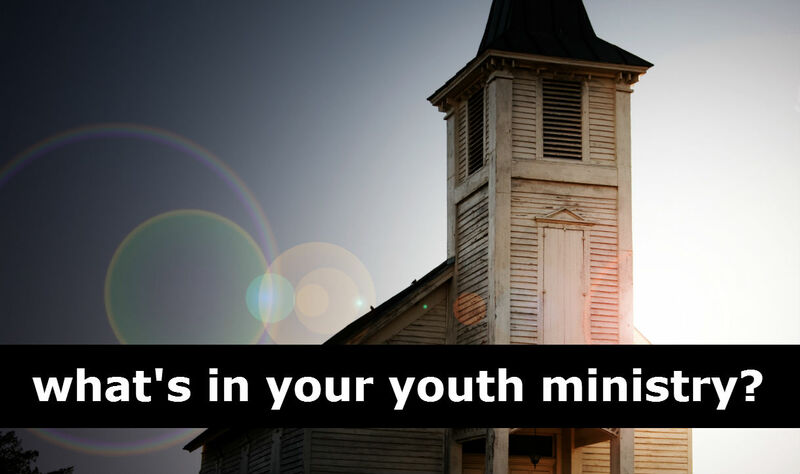 Your church and youth ministry should be different. Rather than a culture of jealously and competition, teenagers should experience in church a culture of unconditional love. Teenagers know what life is like in our world, and they are looking for something entirely different. Will they find it in your church and youth ministry? Here are a few places to start. Lead a loving team of youth leaders. If you expect to create a culture in your youth ministry where loving one another is the norm, it has to start with the youth leaders. How does your team treat one another? How do you handle conflict among the team? Do your youth leaders enjoy being around each other and hanging out outside of the student ministry? The teenagers you lead will pick up on what happens in your team. Be a place where outsiders are loved. A loving church and youth ministry will be a place where outsiders–teenagers who aren’t friends with anyone in the group–are loved and accepted as they are. Too often the teenagers we work with are told at school, at home, or on their soccer teams, “You are only accepted as long as you can contribute something. Be the kind of place where teenagers are loved from the first time they walk through your doors–that may be something they have never experienced before. Give students an opportunity to show love in difficult ways. Help students to practice showing love when it’s hard to do. Love is not love if it’s convenient. Unfortunately, we live in a culture that says that you only have to love someone as long as it remains convenient to do so. Encourage students to love in a way that requires at least a small amount of sacrifice. This can happen in a variety of ways: an inner-city mission trip, a service project, or a lesson on how to love our families when it’s hard. No, you won’t change the world in an afternoon of stocking shelves at a food pantry, but you will help students take a step away from selfishness to loving others. What are other ways to foster love in our youth ministries?